Want to know everything there is to know about high speed cinematography? Are you interested in learning the technical aspects of the Phantom Flex 4K? Do you want to be one of the lucky few to be able to work with this magnificent camera? Then you are in the right place. 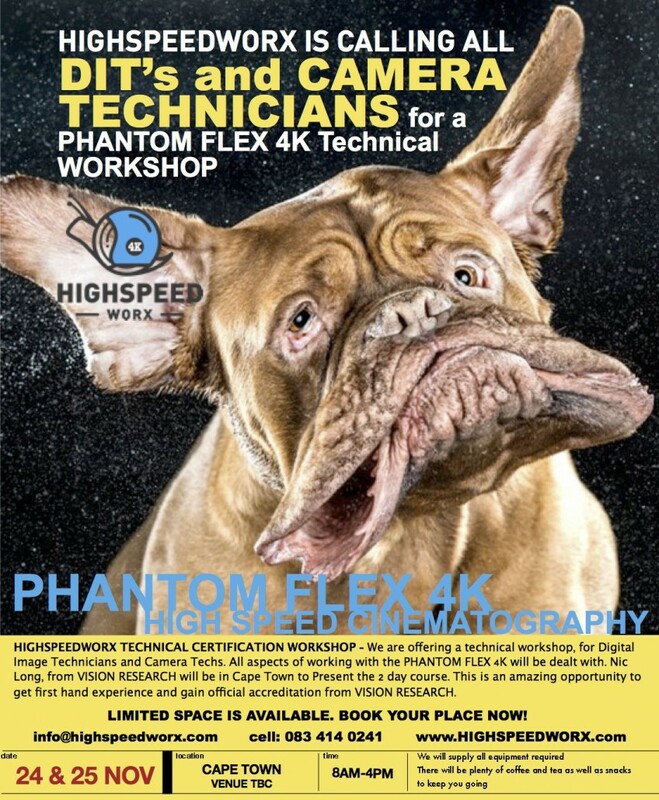 Vision Research is collaborating with Highspeedworx to organise a Phantom Flex 4K Technical Workshop on 24 and 25 November 2014. Limited seats are available, so please make sure to call us as soon as possible. Seats are allocated on a first come, first serve basis.